Some have infrequent migraines and can cope by resting when one occurs. For many, however, migraines are a debilitating condition that results in days or weeks of recovery time after each episode. When it comes to moderate and severe headaches, the Merck Manual calls migraines the most common. If you experience debilitating migraines and live in the Houston, Texas area, what can you do to treat your condition naturally? Headaches are actually a common reason for people to seek chiropractic care.1 While the medical field is yet to agree on the specific cause of migraines, most are certain that it is a neurovascular condition and is related to proper brainstem function. The brainstem exits the skull right at the point where the C1 and C2 vertebrae lie at the top of the neck. This means that a misalignment of either of those two vertebrae can place pressure on the brainstem. The result is that both the nervous system and the vascular system are affected. It can cause insufficient blood flow to the brain. Muscle balance can also be thrown off. If you are tired of conventional migraine treatments that often consist of side-effect-ridden medications, we encourage you to seek out a natural solution. 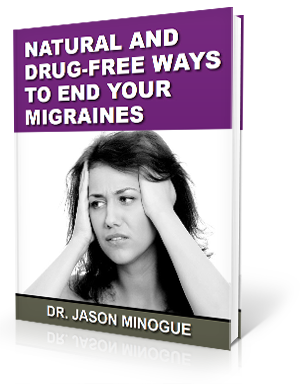 Dr. Jason Minogue is helping people in Houston, Texas to fight migraines at their source. He specializes in upper cervical chiropractic care that addresses the C1 and C2 vertebrae. Bryans R, Descarreaux M, Duranleau M, Marcoux H, Potter B, Ruegg R, et al. Evidence-based guidelines for the chiropractic treatment of adults with headache. J Manipulative Physiol Ther 2011; 34(5):274-289.